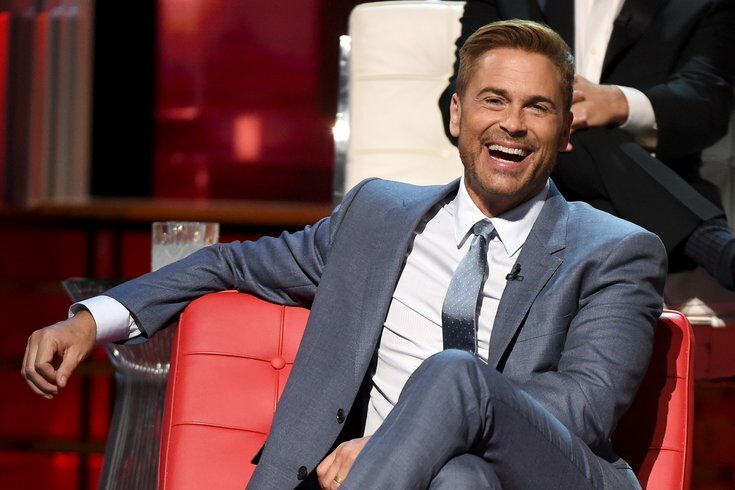 LOS ANGELES - AUGUST 27: Rob Lowe onstage during the 'Comedy Central Roast of Rob Lowe' at Sony Studios on August 27, 2016 in Los Angeles, California. Actor Rob Lowe, the Brat Pack member best known for playing Sam Seaborn on "The West Wing" and Chris Traeger on "Parks and Recreation," is coming to Philly this spring. He'll be in town Friday, May 17, at the Kimmel Center's Merriam Theater. Lowe's show "Stories I Only Tell My Friends: Live!" was inspired by his two memoirs, "Stories I Only Tell My Friends" and "Love Life." It's a "peek behind the curtain at Hollywood, fame, fatherhood and marriage." Tickets are now on sale, starting at $49. The show will be at 8 p.m.
"Stories I Only Tell My Friends: Live!"